The other day, at a networking lunch, a potential business partner asked me what people get out of my retreats. I loved this question, because it made me realize that what the sales page for the retreat had been saying, and what the retreat actually does for people, are two really different things. It talked about how at home, despite the best of intentions, the little slings and arrows of daily life just always seem to get in your way. And how it can be so damn lonely doing your creating all alone all the time. 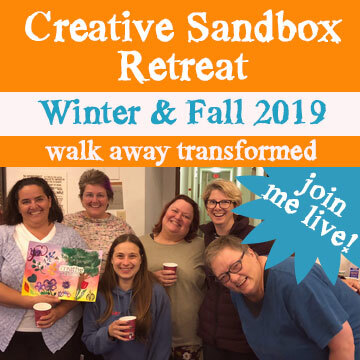 It asked, wouldn’t it be wonderful to feel part of a larger creative community, to surf on the buzz of energy that happens when a dozen people are all together in a room, immersed in their own creative process? To have a tribe of big-hearted people to compare notes with over lunch, or share stories with on a walk around the duck pond, or brainstorm and laugh with over a glass of wine before the fire in the evening? 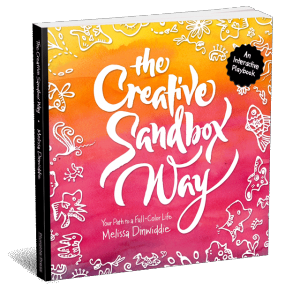 Wouldn’t you love to recharge your commitment to your creative spirit? To fill your tank with a reserve of energy to propel you through the year? And wouldn’t it be great to do all of this in a cozy, beautiful setting, with support, guidance, and just the right amount of structure from someone you trust? These are all great questions. But when my potential business partner asked me what people get out of my retreats, I didn’t answer with any of that stuff. What I said was that my retreat transforms how they think of themselves and their place in the world. It transforms how they think of themselves and their place in the world. “Wow. That’s huge,” he said. Yeah. It is. It’s huge. It’s a lot more than just making some art. And I’m not belittling making art! 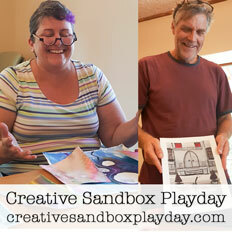 I’m simply acknowledging that what people get out of my Create & Incubate Retreat is more than making their art. And it took him asking the question for me to actually articulate that. 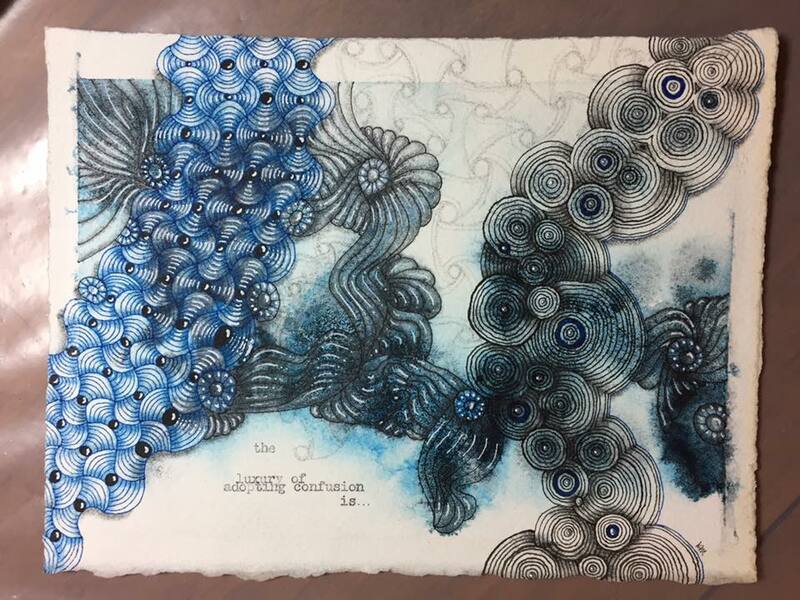 And Kimberly was sharing this gorgeous piece that she’d been working on throughout the week, which started off with watercolor, and then because she’s a Zentangle® whiz, she added a layer of utterly gorgeous Zentangle® brilliance on top of that. So I used that as an opportunity for a teaching moment. 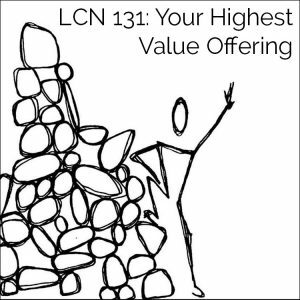 In other words, the thing that you take for granted, that you dismiss, that you think to yourself, “Oh, anyone could do this,” so you undervalue it, woefully undercharge for it, or give it away for free? That is the thing you should be charging the most for. I think my head exploded when Carlos said those words to me, and I could practically hear people’s heads exploding in the room at the retreat. Maybe your head is exploding right now. So let me repeat that. 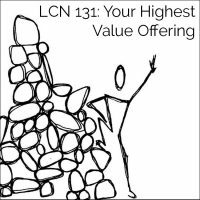 The thing that comes easiest and most naturally to you is your highest value offering. It’s what you should be charging the most for. Not, “Oh, this is easy for me, so I can’t possibly charge a lot for it.” No. It’s what you should be charging the MOST for. Just because it’s easy for YOU does not mean it’s easy for everyone. It’s NOT easy for everyone. It’s easy for you because it’s your superpower. So go stew on that for awhile, okay? 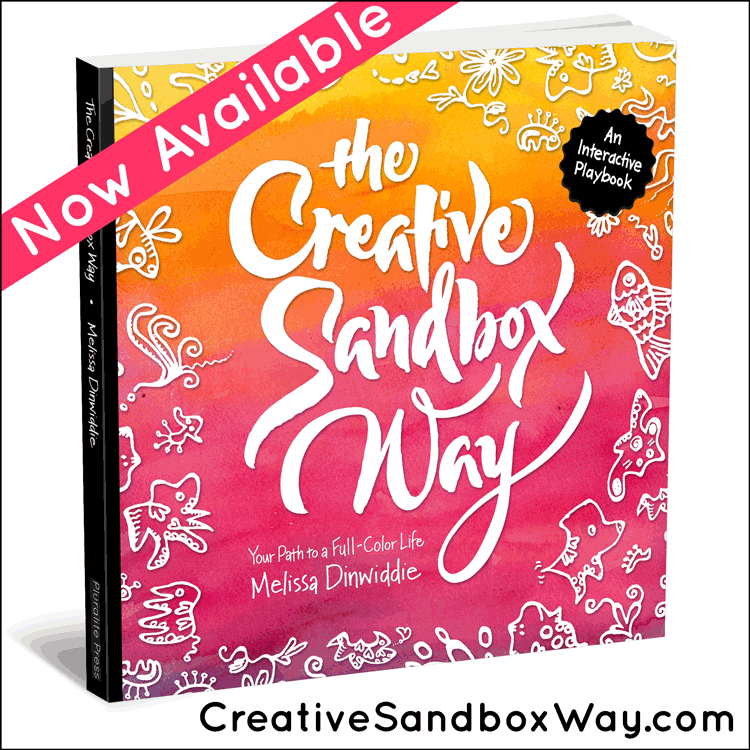 And don’t worry, you’re not alone in needing to stew, because at the retreat, right after this little lecture, when Jennifer said, “Melissa, THIS is your super power, THIS is your highest value offering,” um… THAT was a connect-the-dots moment for me, big-time. 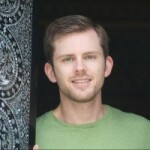 No, I’m not making Create & Incubate Retreat outrageously expensive (although prices are going up from last year). 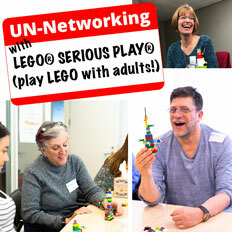 But the facilitation I do at Create & Incubate Retreat? 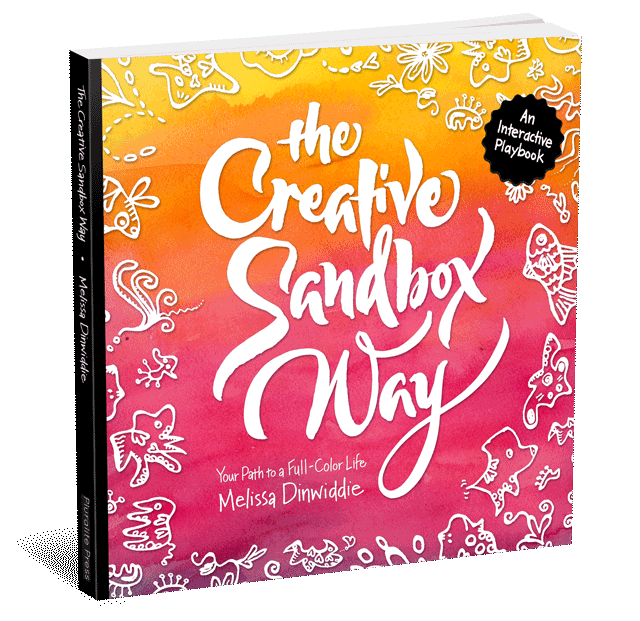 It’s exactly the same as the facilitation I want to do for companies with the new creative consultancy I’m creating. And those companies have funds to PAY BIG MONEY. I’ve been stewing and ruminating on those dots ever since. I’ve got some HUGE money-mindset blocks, I know. And this year’s retreat shone a light on that for me from a different direction. I haven’t busted that block YET, but I am chipping away at it with stubborn determination! And reminding myself of Carlos Castellanos’ words, and getting the validation from my retreatants, came at just the right time. I’ve seen this book in my Amazon recommended reads for months now, and I finally took a risk and ordered it. WOW! I’m in love! So much of what Diane Bleck (whose interview is most likely going live next week) talks about comes straight from the Sunni Brown/Doodle Revolution lineage. 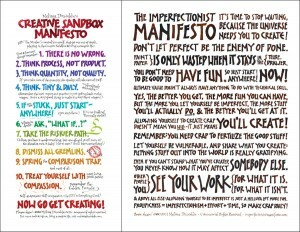 It’s really a manifesto on doodling as thinking. To doodle = to make spontaneous marks to help yourself think. Having recently just started adding doodles to my notes at conferences, I can say that this is absolutely true. My chicken-scratch doodle notes are much more memorable, more fun, and more likely to be referred to again than any pure text notes I’ve ever taken! 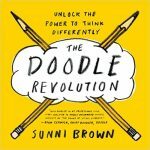 Anyway, if you’re at all interested in visual learning and visual thinking — and you really should be — I highly recommend The Doodle Revolution. Well, I guess I know which podcast I’m cueing up today!